AnonD-57053, 01 Jul 2012Loud speaker is surprisingly capable to be loud, when you set it to maximum on incoming calls.... moreYour frequency response database given by the all phone reviews .. But i dont want that things on here ..
Am asking about your feel of sound quality and clarity of this phone compare to Samsung,HTC,Sony ? That clarity what did you felt during listening ?? 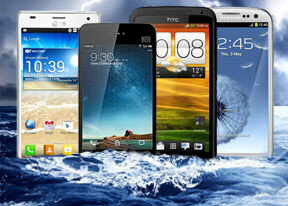 Tell me guys about the sound clarity and quality of this mobile in terms your feel of listening ???? with competing with Samsung anymore. on every 10 minutes check for messages. You can buy it for about 340€ on amazon deutsche. The eluga is available there. AnonD-51027, 04 Jul 2012guys, FYI regarding the "breathing auto-focus" problem on LG Optimus 4X: it seems... moreYes, great video sample with even better audio quality sound. Hope my new 4X coming next week won' t have the breathing focus issue. I will update once i received. i did an experiment for the battery standby of my lg 4x hd! it only got drain after 48-hours! fredje, 03 Jul 2012anybody else having heating problems?no heating problem on this phone! this is the perfect phone ! 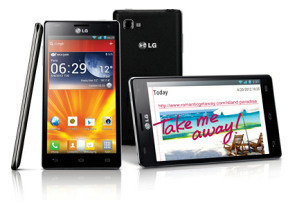 viva lg 4x! yeey im very happy with this beautiful phone. fredje, 03 Jul 2012anybody else having heating problems? no problem with this phone such a great hardware very good battery! very fast speed browsing! wow amazing battery ,imagine i can watch two movies and still not drain!!! anybody else having heating problems? Puck, 03 Jul 2012i'm thinking of lg myself. only because it's cheaper. and because s3 is damn ugly :P i hear l... moreYeah the issue with focus in the LG is nothing compare with the samsung issues for the s3. Here are the latest two. 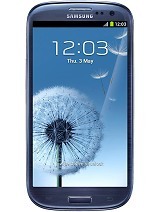 1- International model Galaxy s3. Burnt mobile phone for defective unit. See for yourself here. 2- Battery drain issue discovered on galaxy s3. Battery drains quick on standby. See here. Then HTC ONE X has its issues as well see here, and this one is really awful. AnonD-21659, 03 Jul 2012Really confused should I buy LG 4x hd or Samsung Galaxy s3?....My main needs are watching You ... moreBoth are good. I was impressed with the macro in the LG optimus 4x, and also the video recording, was very good aside the problem with the focus. I would choose the one that you like more as inside they are both very good. If you want to go for the 4x, I would wait until they fix the issue with the focus while shooting video. Otherwise you might be dissapointed. I am sure there is an update coming soon to fix that. best phone i ever own...amazingly.. So i am here again with my s2, depressing really.